There is an elaborate system for appealing NVICP decisions. Next time someone tries to claim there is no appeal, or that the petitioners are not given a hearing, remind them they’re very wrong. The legal standard used to assess the Special Master’s findings of facts – what it is and how it works. What we see is that both the judge in the US Court of Federal Claims and the Circuit Court gave the Special Master’s decision pretty close scrutiny. Young Ilya Dobrydnev was born in 1991, and received the first three hepatitis B shots with no problem. He had some fevers and diseases as a child, and then, in 2000-2001 contracted the Epstein-Barr virus (EBV), a common infection that is not vaccine-preventable. EBV spreads most commonly through bodily fluids, primarily saliva. EBV can cause infectious mononucleosis, also called mono, and other illnesses. Evidently young Dobrydnev did not clear the EBV virus easily, and saw his doctors much more often for complaints of fever and fatigue. The physician who treated Dobrydnev for the EBV recorded that his infection had “resolved” in May 2001. However, Dobrydnev continued to have fatigue and other health problems. On November 5, 2001 Ilya received a fourth Hepatitis B injection (the decision mentions it was not needed, but does not explain why Ilya received this fourth dose). His mother says that immediately afterward he developed flu-like symptoms. He had low fever, sore throat, headache, runny nose, and was given an antibiotic. His medical problems continued. In January 2002 his doctor reported he was generally in good health. In February and March continued fatigue was noted, and possible diagnoses of chronic Epstein-Barr virus or chronic fatigue syndrome were noted. The fatigue and weakness continued. The Special Master denied the family’s claim finding they did not prove the vaccine caused the harm to the required standard. The parents appealed to a judge of the Court of Federal Claims and Judge Susan G. Braden reversed the decision and sent it back to the Special Master for deciding two other points (see below). The Special Master again found the parents did not prove causation. The parents appealed again, and Judge Braden reversed again and found for them, awarding them $1,076,412.15. The government appealed. In that decision, the United States Court of Appeals for the Federal Circuit overturned Judge Braden’s decision. 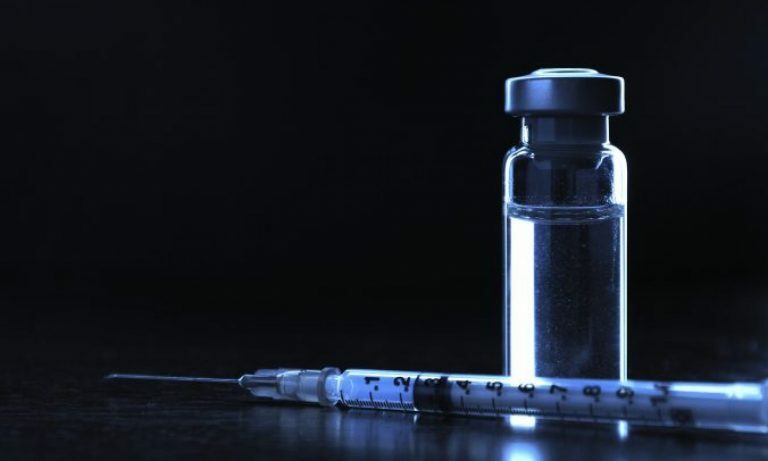 The first thing this case highlights is that there is an elaborate process of appeals from the decision of Special Masters in the vaccine court. To remind readers, Special Masters are appointed by the United States Court of Federal Claims (USCFC) for four years, an appointment often renewed. The judges of the USCFC in turn are appointed by the President and confirmed by the Senate for a period of 15 years. In other words, it’s a process much like that of appointing federal judges, and although not life long, the long tenure gives the judges a fair degree of independence from the appointing administration–a president will not decide on the reappointment of a judge he or she appointed. This means Special Masters are not directly under control by the administration – appointed by people that the administration cannot easily remove and does not often get to reappoint. In other words, the anti-vaccine claim that NVICP is problematic because government lawyers argue before a government appointed judge is true – but only if you ignore the mechanisms in place to protect the Special Masters’ independence. Under that logic, going to federal court will also mean going in front of the government – maybe even more directly. After all, the President appoints and the Senate confirms federal judges – and there is no additional layer of appointment. Special Masters make the initial decision in NVICP in contested cases and make official concessions and settlements. The decision of the Special Master can be appealed to a judge of the USCFC. From there, the decision can be appealed to the relevant circuit court (the middle layer in our federal court structure: we have district courts, courts of appeals for different circuits, and the Supreme Court on top). And there is another layer: anyone unhappy with the decision of the circuit court can appeal to the Supreme Court. There’s no guarantee the Supreme Court will take the case – as most of you know, it has control of its docket and takes a relatively small number of cases – but it could, and some NVICP cases have been heard in the past. The Dobrynev decision focused on causation. To remind readers, there are two ways to determine causation in NVICP cases, so-called “Table Injuries” and “off-table” petions. …show by preponderant evidence that the vaccination brought about her injury by providing: (1) a medical theory causally connecting the vaccination and the injury; (2) a logical sequence of cause and effect showing that the vaccination was the reason for the injury; and (3) a showing of a proximate temporal relationship between vaccination and injury. Collectively, these three standards are referred to as “Althen”, from Althen v. Secretary of Health and Human Services, 418 F.3d 1274, 1278 (2005) (citing Shyface v. Secretary of Health and Human Services, 165 F.3d 1344, 1352 (1999)). Again to remind readers, this is a break compared to regular tort cases, in which petitioner would also need to show general causation – to show that there’s scientific evidence that vaccines can cause this type of injury. Here, a medical theory is enough. To win the case, a petitioner must prove all three parts to the “more likely than not” standard: to show that it’s more than 50% likely all three elements are fulfilled. In the Dobrynev case, the Special Master thought none were. The USCFC judge thought all were. In appeal, the court focused on the second requirement – a logical sequence of cause and effect – and found that the Special Master’s decision the petitioners did not prove this element was not arbitrary and capricious. What is arbitrary and capricious? On its face this would suggest a very deferential standard, only overturning extreme decisions, but under today’s jurisprudence that’s not quite the case. The interpretation of this clause is somewhat contradictory and complex. The courts are told to give agency decision a “searching and careful” assessment but “the ultimate standard of review is a narrow one. The court is not empowered to substitute its judgment for that of the agency.” (Citizens to Preserve Overton Park, et al. v. Volpe, 401 U.S. 402, 417 (1971). In other words, courts are supposed to closely examine the agency’s decision but not substitute their own judgment. Some deference is due, but it’s unclear how much, and courts vary in how closely they scrutinize the decisions and how willing they are to overturn them. There is more to it, but this is probably all that is needed for this specific case. In the Dobrynev case, the Circuit Court took a pretty close look at the Special Master’s decision, and upheld it only after careful review. In other words, there was careful oversight of the Special Master’s decision, first by one USCFC judge that didn’t agree with it and then by three judges in the Circuit Court, which did. The court examined the basis on which the Special Master found that petitioners did not meet the Althen standard described above. The Special Master found that the treating physicians did not agree with the family’s view that it was the hepatitis B vaccine that caused Ilya’s problems – and treating physicians are in the best position to assess if there was a “logical sequence of cause and effect showing the vaccination is the cause of the injury”, under Althen. The government’s experts assessment that there was no causation was more convincing than the petitioners’ experts. The USCFC judge disagreed for several reasons – none of which the Circuit Court accepted. First, the USCFC Judge thought the Special Master did not give enough weight to petitioners’ experts – especially to their expert Dr. Bell, who was the only expert that actually examined Ilya. The Circuit Court rejected this argument by pointing out that the Special Master considered these opinions and rejected them – especially because Dr. Bell assumed, as he said in a letter, that Ilya was in good health until just before the vaccine. That was not the case – as described above, Ilya suffered quite a few medical problems before the vaccine. The other expert for the petitioners was under the same impression. Since they made their assessment based on this incorrect fact, the Special Master was right to discount their opinions, the court explained. Second, the USCFC Judge made much of the fact that one of the treating physicians – Dr. Fink – filed a VAERS report. But examining the record suggested that the VAERS report – which does not, in itself, show causation – was filed because the parents asked for it. Also, Dr. Fink relied on Dr. Bell’s problematic expert report – not because of an independent determination by Dr. Fink that the vaccine caused the harm. Therefore, the Special Master was right not to give it much weight. Third, the USCFC Judge thought the Special Master was wrong in not considering that Ilya was ill after vaccination. But the Special Master did consider this – and while that could show a temporal connection (which is the third part of the Althen test above), the Special Master’s decision to reject this aspect because of the government experts’ testimony was not arbitrary and capricious. What do we learn from this case? We learn that in NVICP, even in cases the government does not concede or settle, petitioners’ causation claims are closely and carefully examined by the Special Masters under a pretty lenient standard. Winning is not automatic, but petitioners have a reasonable chance to win if the evidence does, in fact, support causation; but they do need to provide supporting facts and evidence. We learn that there is an elaborate system of oversight to examine the Special Master’s decision and correct any errors. This, again, demonstrates that Vaccine Court is not a system that can easily subvert evidence or justice: the Special Masters act arbitrarily and unfairly only at the risk of being overturned. And we learn that petitioners to NVICP are not in any way denied due process. Editor’s note – this article was first published in September 2015. It was updated to fix broken links and formatting issues.